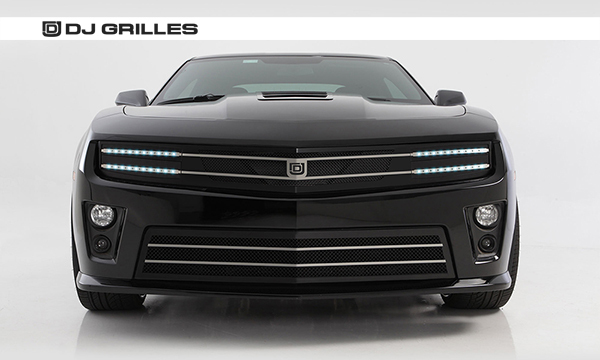 T-Rex Truck Products, Inc. / T-Rex Grilles is proud to announce the acquisition of DJ Grilles as of June 2nd, 2015. T-rex will be managing DJ Grilles as a separate line. The prices and shopping cart on the DJ Grilles website are active and online. If you are already an existing DJ Grilles customer that has made purchases during the past 12 months; your current discount and program will remain the same till further notice. We are in the process of integrating and updating the new DJ Grilles price list and part numbers into our system network with plans to be available soon through all T-Rex customers. For any orders placed from 6-2-2015 forward, all sales, billing, and customer service issues are being managed by our current staff. Please take a few minutes to check out the website and the links below to become more familiar with this exciting grilles series and new product line. Like DJ Grilles on Facebook! email: info@djgrilles.com, Phone: (951) 372-0200, or Toll-Free (866) 483-7744.